Following the tragic death of Linkin Park frontman Chester Bennington last week, the band has issued its first statement since his suicide. “Our hearts are broken. The shockwaves of grief and denial are still sweeping through our family as we come to grips with what has happened. 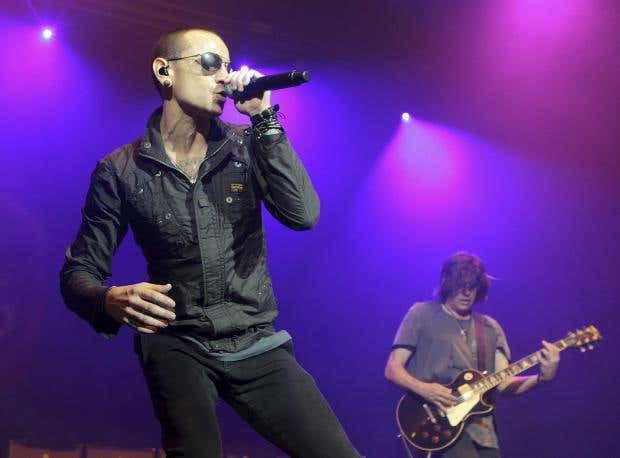 Chester Bennington was found hanging in his home last week, discovered by his housekeeper in the morning. The Los Angeles County Coroner had confirmed the singer’s death was a suicide. The coroner’s office said that half an empty bottle of alcohol was found in his room, but no suicide note was found. Chester had struggled with alcoholism and drug use in the past. Linkin Park also cancelled their North American tour, which was scheduled to start this week. “We want the world to know that you were the best husband, son, and father; the family will never be whole without you” the statement continued. “Talking with you about the years ahead together, your excitement was infectious. Your absence leaves a void that can never be filled—a boisterous, funny, ambitious, creative, kind, generous voice in the room is missing. Truly tear inducing truths were said in commemoration of Chester’s talents and for his musical outreach over the whole world, within being the lead singer of Linkin Park. So now, we will make you listen to this beautiful new song by Linkin Park, to help put life into perspective and to also remind you all to take care of yourselves. R.I.P Chester. Fans from around the world have paid tribute to Chester. Unfortunately, for Linkin Park, the future is uncertain.